To be able to answer correctly this question it is important before that to ask ourselves another one - what did we expect from the EU and did we get it? In the entire process of accession, from the moment when the decision to apply for EU membership was taken, through the negotiations, up to the accession, we were talking that we want to members of the "right" club as an opposition to our forceful and involuntarily being of a Soviet satellite before 1989. Another mantra of the Bulgarian society was that we were joining the club of the rich and developed. But we never talked about how to go there. In time, the EU has turned into something distant that hits with the stick through the Cooperation and Verification Mechanism for the fight against corruption and organised crime or that gives/takes EU funds or that bans our tripe soup or that does not like crooked cucumbers. The too primitive debate that is being led in the Bulgarian society about the EU itself and our being in it, has taken place against the backdrop of the five-year old euro area crisis. It is important to pay attention on five-year long because out of seven years of membership five, which means most of the time, have passed against the backdrop of news about bankruptcies of eurozone states, about growing unemployment, investors' withdrawal. What does the EU give us? This is a question which can receive a pragmatic and a more "whole-cream" answer. The pragmatic answer is that we got money, free movement, opportunities for business and education. 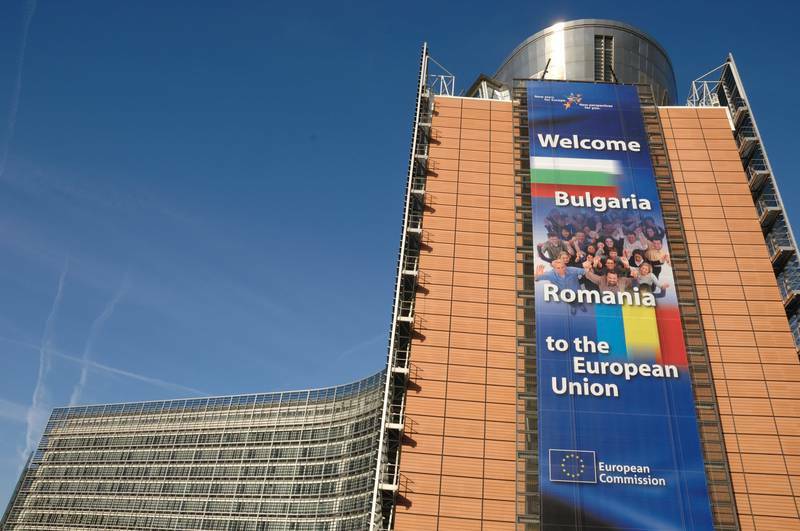 Only during the period 2004-2006 Bulgaria was allocated under the EU pre-accession funds 500 million euros annually which then was 2% of the country's gross domestic product. The full flavour answer, however, demands us to add to that that we have received without any effort one of the most evolved legislative packages in our history. Instead of us having to go our own way, making errors, toward the best legislation, we just got it for free. To what extent do we apply it, though, and how do we harmonise it is a question we need to answer domestically instead of blaming Brussels. In other words, we got the best of the legislative evolutions of UK, Germany, the Scandinavian states, Italy. In Bulgaria, at the time, even today, people and political culture that could create such legislation are rare. And the task of such legislation is to transform the Bulgarian society from conscience of subordination, absence of rights, forceful equality, lack of possibilities and, generally, an entirely totalitarian view of life into freedom of thought and action, tolerance to those who are different and possibilities for the more ambitious of us to choose their own path of development. To sum up, the EU gave us the clay in our hands which we were supposed to model our society with. Have we succeeded is a question that, too, needs to be answered domestically by our society. How much does EU cost us? This question is incorrectly put, in my opinion, because the EU functions two-way - not only from Brussels to the capitals but the other way round, too. In numbers, Bulgaria pays every year in the common budget a contribution of a little more than 1% of its gross domestic product. How much does it take back depends entirely on how capable politicians voters elect to create a system for selection of projects that could have a long-term impact on the country's development. In general, success here is symbolic. Bulgaria is among the countries with relatively low absorption rates in terms of money, but in terms of quality of absorption we see it every day - there is almost no road section that literally days after being formally opened collapses and has to be repaired, in spite the fact that the price for its construction is millions of euros per kilometre, part of which is co-financing from the national budget. 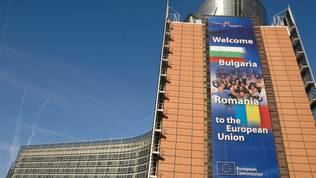 Sometimes, Bulgaria is threatened by financial sanctions for not abiding with the European legislation. But this, again, is not the cost of the EU but the cost of bad governance in Bulgaria. Currently, at community level and in some member states intensive debates are taking place and expert analyses are being made of the benefits and losses from EU membership. In Bulgaria, no one is doing such an analysis which makes it difficult to see to what extent do regulations coming from Brussels have a negative impact on the Bulgarian business. Moreover, such an analysis should sift out the damages for business and economic development the lack of rule of law does. There is also no analysis of how much does cost us the passive behaviour of the Bulgarian representatives at EU level when new legislation is being hammered out and when a decision is taken Bulgaria not to take part in this or that new integration circle - the banking union, for instance. So, to me, the EU costs us only the contributions to the common budget, while the bill with the big damages and missed benefits should be presented to the Bulgarian governments and parliaments from the past 20 years. People born after 1990 find it difficult to understand the biggest gift the EU gave us - the freedom to travel wherever we want throughout the EU. Without visas, without us having to explain why are we going, whom are we going to stay with, do we have enough money to finance our stay. I myself had a very humiliating experience in the British embassy long time ago when I was asked whether I was going to the UK (on the basis of an official invitation) just to marry and if I had intimate relationship with the person I was going to stay with. You can imagine such a huge humiliation. Now, 25 years later, I realise that this liberty is not for granted and it can easily be lost because of bad governance. Governments in a row have failed to take advantage of the possibilities the EU has provided us with which is why Bulgaria has remained the poorest country, without having built the dreamt society (in fact who dreamt about it? ), a country with superiority of certain circles and people over the law, with sick media environment. This is the reason why the Bulgarians are among the most unwanted citizens in the EU. So much unwanted that the governments of some of the richest member states consider how to restrict that liberty. Fortunately, it is guaranteed by the EU's founding treaties, but it will not take long before these treaties are opened to change and then it is possible Bulgaria, again, to emerge on the wrong side. After our first seven years of EU membership, may be we have grown up enough not to ask the question "What does the EU give us and how much does it cost us" but to paraphrase the famous question of late President Kennedy: "Fellow countrymen, do not ask what the EU can do for you, but ask what you can do for the EU". This text has been written for the upcoming online debate of MoveBG, a civil platform debate, "What does Europe give us and how much does it cost us? ", which will take place online on April 16th, 1800 CET. The debate is part of MoveBG's European agenda which euinside is a strategic partner to.